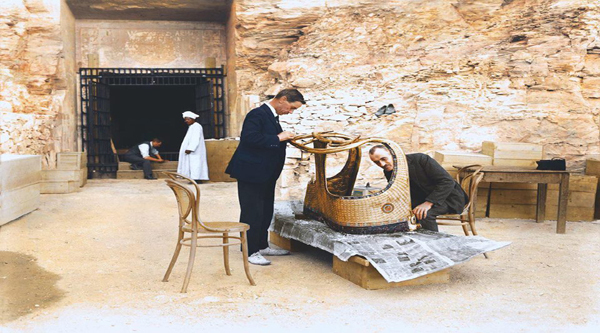 King Tutankhamen tomb discovered by Haward Carter in 1922 is amongst the smallest in the Valley of the Kings. Nevertheless it contained treasures which may have represented the most abundant hoard ever buried in the valley. A remote valley to the north-west of Deir el-Bahri, where many Egyptian Pharaohs of the 18th, 19th & 20th Dynasties were burred is known to the world as Valley of the Kings. It still keeps its secrets as new tombs are being excavated regularly and new mysteries are discovered. 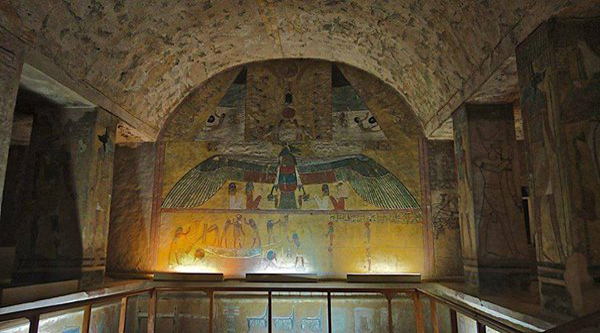 The tomb of Ramesses V is known since antiquity and now can be visited while touring the Valley of the kings. The tomb was started by Ramesses V and then usurped by his successor Ramses VI. 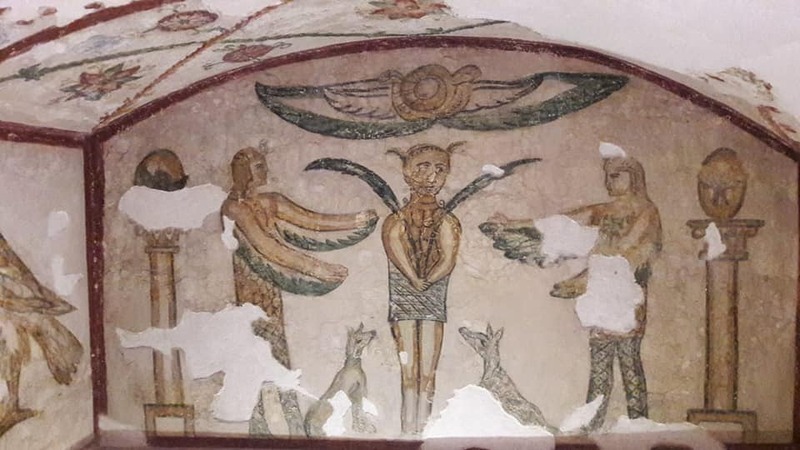 The standard of craftsmanship is not high, but the tomb chamber has one of the most important ceilings in the Valley. 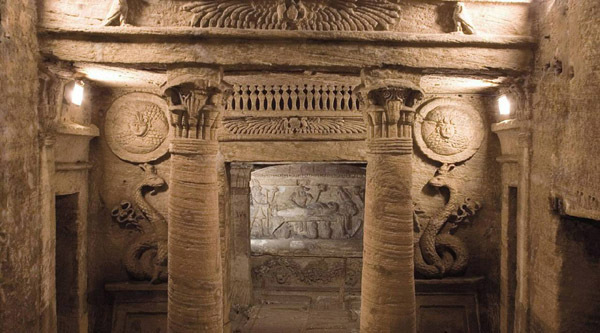 One of Alexandria's most important archaeological sites, the principal hypogeum of a funerary complex dating from the end of the 1st century of the Christian era and still in use at the beginning of the 4th. 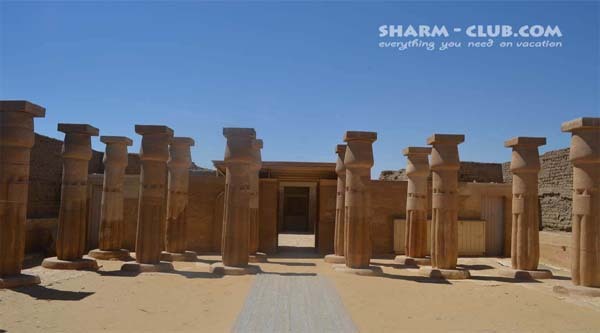 The layout, decoration and very atmosphere are unique to Egypt and the rest of the world. 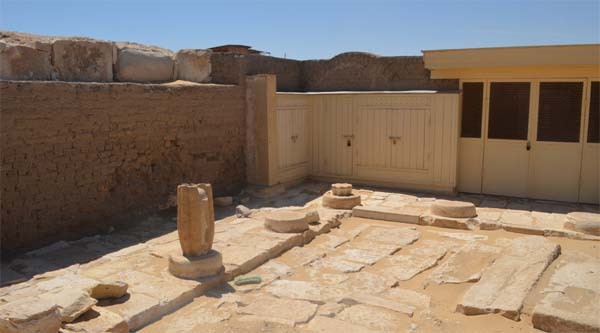 In the garden of Kom al-Shukafa site certain architectural fragments and sarcophagi from excavations in and around Alexandria have been placed, and three small tombs have been reconstructed. 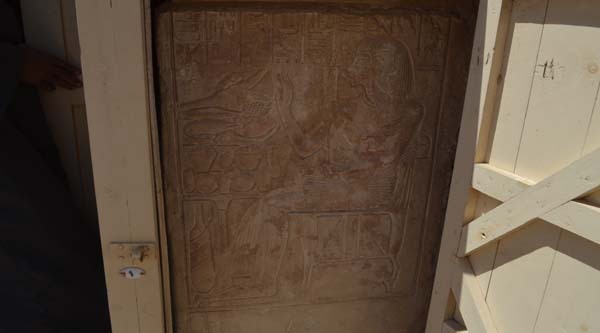 The most interesting is housed in a greyish building across from the Curators' House and is called The Tigrane Tomb . Meryneith was steward of the Aten temple in Memphis during the reign of pharaoh Akhenaten and became high-priest of the Aten under Tutankhamun (18th Dynasty). 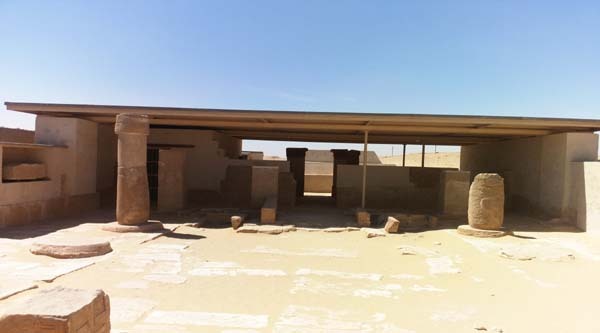 This one of the newly opend to public tomb of New Kingdom is situated in Saqqara necropolis and belongs to Pay, the overseer of the Harim and his son Raia. 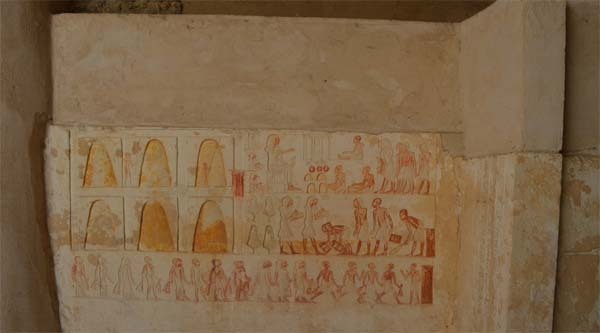 The tomb of Horemheb was constructed between 1333 & 1319 BC and belongs to the newly discovered and restored New Kingdom tombs of Saqqara necropolis. The tomb of Maia, the Treasurer of the Pharaohs Tutankhamun and Horemheb is located in Saqqara necropolis. It belongs to the New Kingdom, 18th Dynasty and was recently open to public. 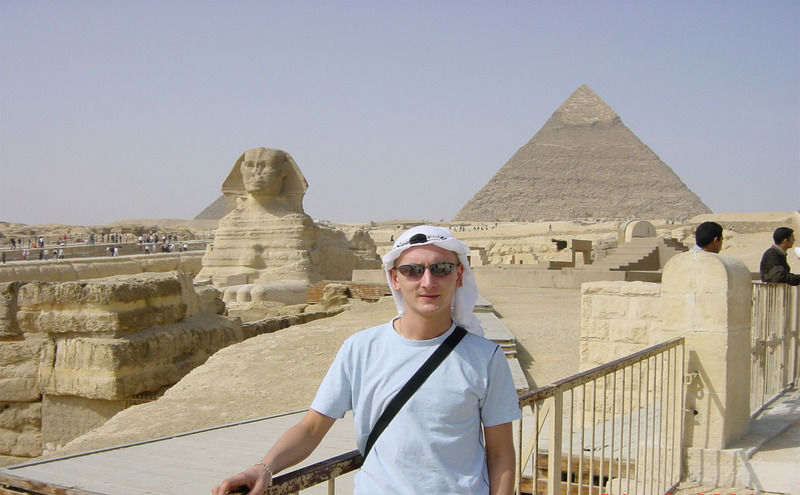 The history and the discovery of the Great Sphinx in Egypt is very intriguing. Most of its life buried in sands it revealed its mysteries to the world just in modern times when cleaned from the sands. And one of the discoveries was a stela at its front paws.